Dogs are den animals and often find security and comfort in a den-like space such as a crate, under a table, or in some other small, confining area. 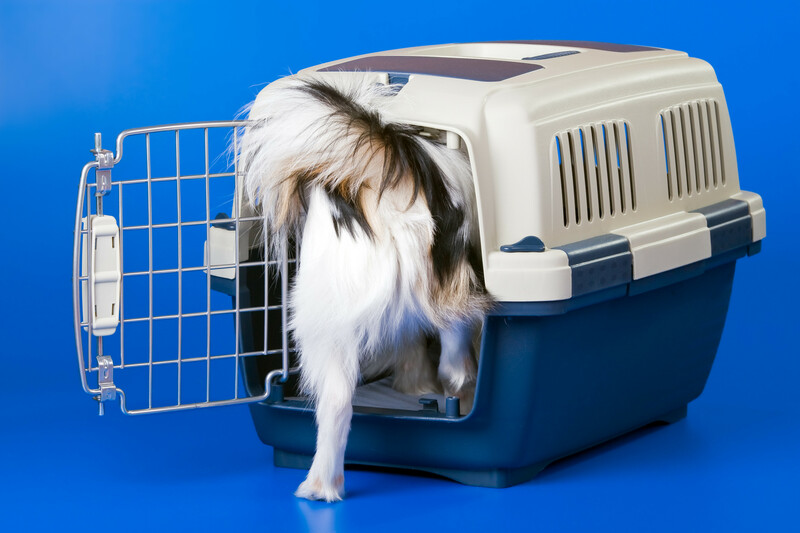 In order for a crate to offer your dog security, it must be “den like.” Crates often work best when they are not a wire cage, but are one of the airline style crates that are plastic or fiberglass, and are enclosed on all sides except for a door at the front. In the wild, a den would typically be enclosed on all sides except for an entrance. If you have a wire crate, you can convert it into a den by placing a board on top of it to make it more den-like. Make sure the board extends a couple of inches beyond both sides of the crate so you can hang a blanket over the board to close in the sides. You do not want the dog to be able to pull the blanket into the crate. Many wire crates have a pan at the bottom which can make noise and move around unexpectedly, which some dogs may find unsettling. You may wish to remove the pan or place an old towel or blanket over the tray, but make sure that your dog will not rip it apart and ingest it. A crate should be large enough for your dog to sit up, lie down and turn around comfortably. However, if still housetraining, the dog should NOT have enough room to sleep in one corner and eliminate in another part of the crate. Some beds are specifically made for dog crates, but I do not recommend them for dogs with anxiety issues, as they will often chew and possibly ingest items like this when left in the crate. Until you know your dog will do well in the crate, and is housetrained, I would recommend you do NOT use any bedding material. Place the crate in an area that is quiet, but where your dog can still see and hear you. Remember, dogs are social animals and want to be with the rest of the family. They do not like feeling isolated. Putting the crate in your bedroom at night will help to strengthen the bond between you and your dog by allowing him to sleep near you. Do not to abuse the use of the crate. We want the dog to like the crate so NEVER use it for punishment. If your dog spends a significant amount of time in a crate, it will also need a significant amount of time to exercise and play. Some dogs have already had a bad experience in a crate and will panic if you try to put them in a crate. In this case, we need to go slower and start with something crate-like, but different. What I am going to suggest will NOT confine the dog, thus, active management is mandatory, but will hopefully allow them to acclimate gradually to a crate-like environment. Toss a treat or a favorite toy under the table, so your dog goes underneath to investigate. Do this a couple of times a day for several days. Start feeding your dog his meals under the table. Place the dish right up near the front of the table so the dog barely has to put his head in, to eat. Over several meals, as the dog becomes more comfortable, start putting the dish further back under the table. Once the dog is happily eating and spending time under the table, get an old blanket or some pieces of cardboard and cover two sides of the table so that it is now semi-enclosed. The front and back should still be open. Continue the exercises above with this newly configured table, recognizing that you may need to start slowly to get your dog comfortable. 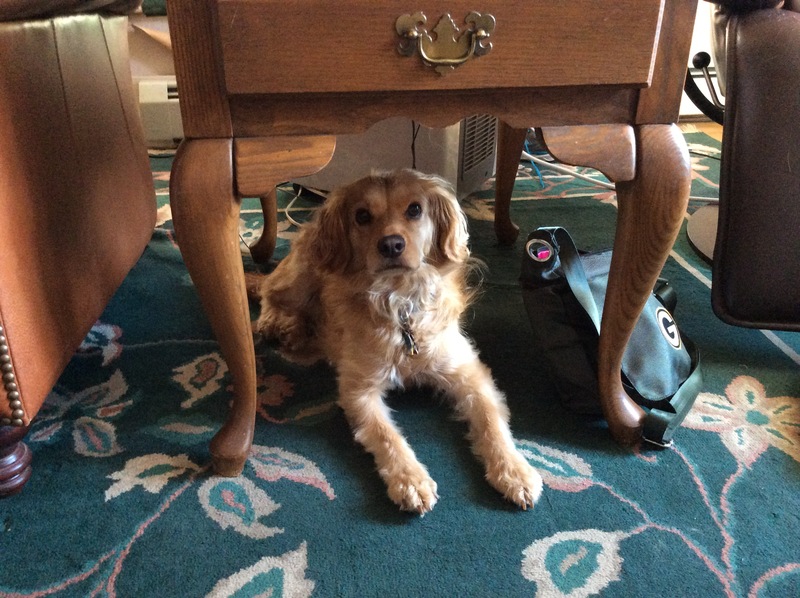 When the dog is happily spending time under the table with two sides enclosed, enclose the back of the table and continue the exercises you started above. After the dog is comfortable in this setting, try introducing a crate as noted below. Remove the door to the crate and let your dog explore it. Toss in a treat or a favorite toy so he goes in to investigate. Do this a couple of times a day for several days. Start feeding your dog his meals in the crate. Place the dish right up near the front of the crate so the dog barely has to put his head in, in order to eat. Over several meals, as the dog becomes more comfortable, start putting the dish further back in the crate. At the same time, you start feeding your dog his meals in the crate, you can also begin some other crate exercises to practice during the day. Have your dog go into the crate and feed him a high-value reward (cheese, a piece of chicken, something really good) through the door of the crate. While doing this, he is learning he gets the best rewards while in his crate. To keep these rewards high value, he should only get this treat for this particular exercise. When your dog is comfortable going all the way into the crate to eat his meal, put the door back on and quietly close the door behind them, but do NOT latch it. Let him come out when he wishes. 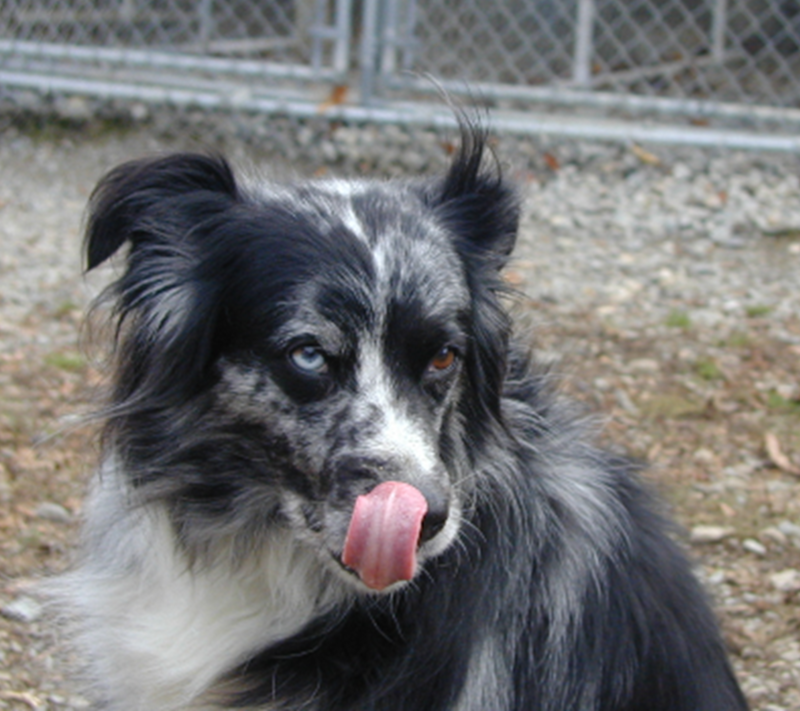 Pick a word such as “kennel” and use it immediately before you put the dog in its crate for eating. When the dog is comfortable with the door closed, start latching it, but stay close. When the dog is comfortable staying in the crate eating with the door latched, start leaving them in the crate for longer periods after they finish eating. When you can keep the door latched for 5 minutes after the dog has stopped eating, start leaving the room. 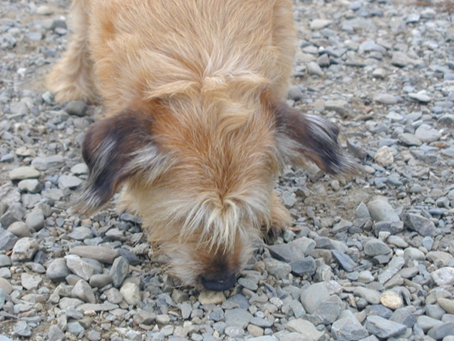 Be out of site but close by so you can hear your dog if they become anxious. Return after 5 minutes as long as the dog has not become anxious, and let the dog out of the crate. Do not make a big deal out of letting him out. Continue this until you can stay out of site, with the dog in the crate for at least 15 minutes. What we hope will happen is that the dog will eventually lie down and settle in the crate. Start using the word “kennel” to put your dog in the crate for short periods other than at mealtime. 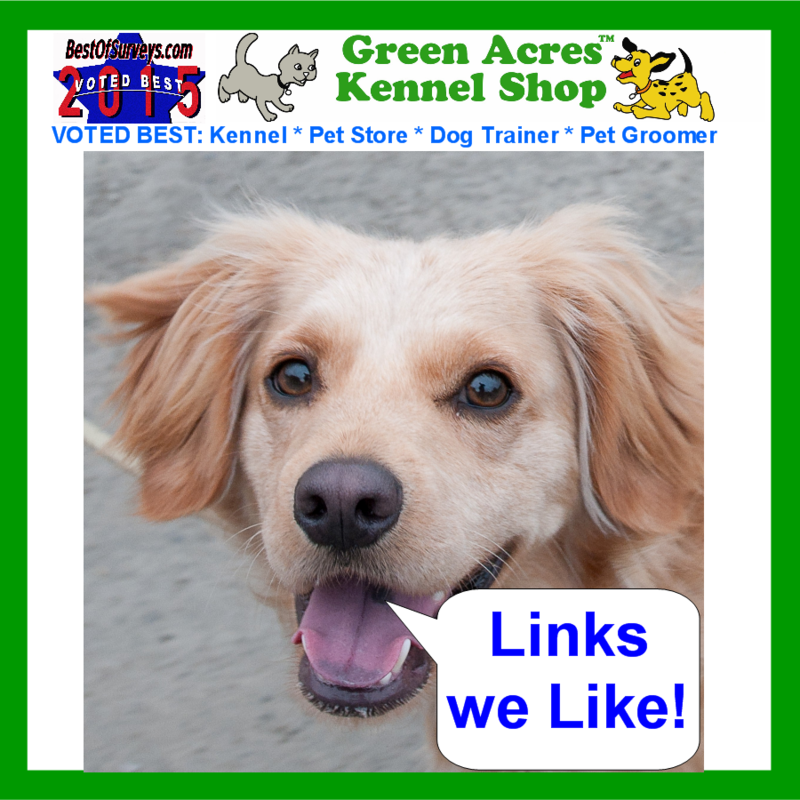 Give them a sturdy toy like a stuffed Kong or Nylabone to interact with while in their crate. The first time you do this, just step out of site for 5 minutes or less. If the dog does not panic or become anxious, continue to gradually, in baby steps, increase their amount of time in the crate with you out of site. When you can leave the dog in the crate for at least 30 minutes, with you just out of site, try leaving the dog in the crate, and leaving the house. Come back in the house after a couple of minutes, listen, and see if the dog is still calm. If so, just stay out of site and continue to work on increasing the amount of time left in the crate. 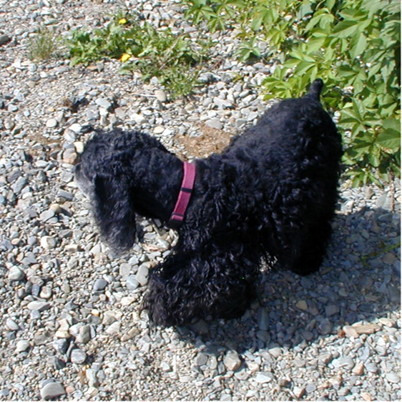 Gradually, increase the time you are outside until you can leave the dog for 30 minutes with you outside. When you can leave the dog in the crate for at least 30 minutes, with you outside, leave the dog in the crate, leave the house, get in the car, start it and drive at least 100 feet away. Turn off the car, walk back to the house and see if the dog is still relaxed. Gradually, increase the time you can leave the dog for in the crate with you driving away until the dog can be left for 3 to 4 hours. Remember, if you want to be successful, you need to go in baby steps. 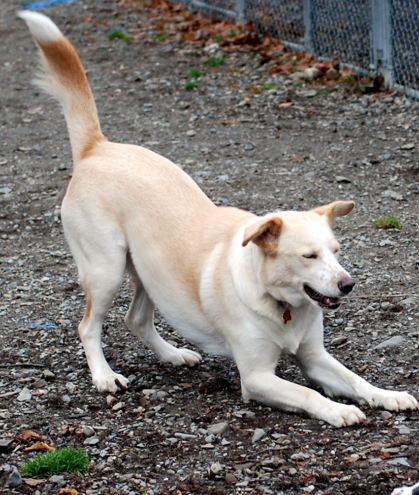 For some dogs, this might mean increasing the amount of time you leave them by just 1 or 2 minutes per session. Another excellent little book from Turid Rugaas, this one dealing with a common complaint from dog guardians – “My dog barks too much.” Rugaas explains the many reasons dogs bark and offers advice on how to determine why your dog is barking. 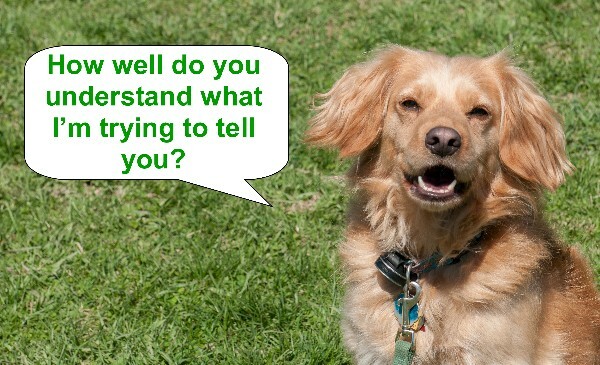 She also offers suggestions on how to change your dog’s behavior so they bark less. 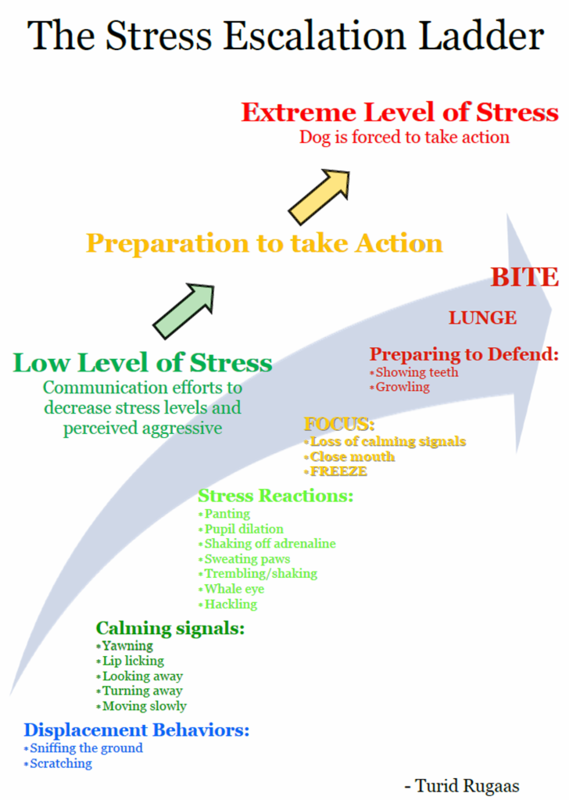 Since many of the reasons dogs bark excessively are a result of stress and anxiety, Rugaas addresses the need to reduce the dog’s stress, which may mean changing our behavior as well. 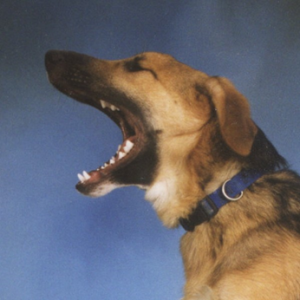 She also clearly explains why punishment based strategies and tools like anti-barking shock collars are more likely to make the problem worse, rather than better. 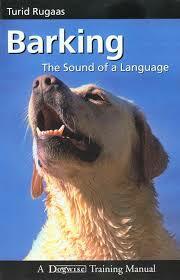 If you feel your dog is barking too much, this book is a MUST READ. 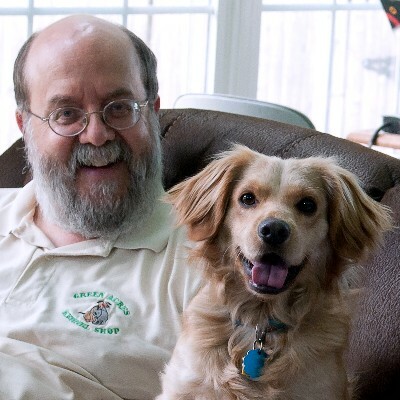 Even if your dog is quiet as a mouse, I recommend this book as it will give you greater insights to your dog’s vocalizations and their canine point-of-view. Hi, everyone! My name is Muppy. Don asked me to write this month’s column because he thought I could provide some valuable insights. Plus he said if I did this for him I would get some extra tummy rubs and yummy treats! So what do I know about being a rescue dog? I am one, thanks to the kindness and compassion of several people in my birth state of Mississippi. I might not be here without them. I was living with a family, I had puppies, and then one day my people moved away and left, and my puppies and I were all alone. Fortunately, a nice lady named Catherine heard about me and rescued me by taking me to Rose, another nice lady. Rose fostered my puppies and me until we could be put up for adoption. 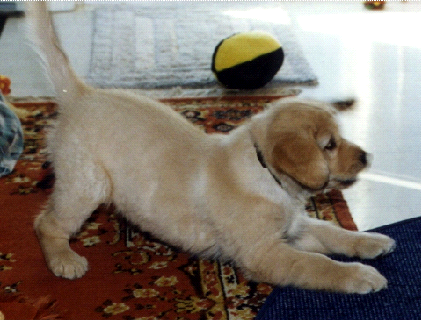 I took good care of my pups until they were eight weeks old and then they were transported to New England to new homes. Soon after that, I was also sent to a rescue group in Maine, Helping Paws-Maine, where I was placed into a foster home until I was adopted. I got to ride to Maine with my friend Ernie who was also going up for adoption. I did not know it, but Don and Paula were looking for a dog about the same time I was arriving in Maine. They found me on PetFinder, completed an application and made an appointment to meet me at my Maine foster home with another nice lady named Victoria. 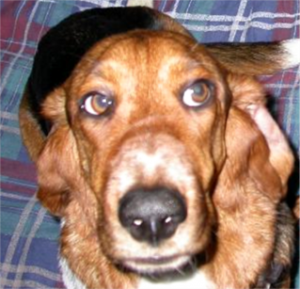 When I first met Don and Paula in my foster home, they were sitting on a couch with Ernie. That boy is quite the social butterfly, unlike me at the time. When Don sat down next to me on the floor, I moved away because I was not so sure about him. However, once he started giving me some treats, I decided he was safe! snuggling on the floor and then I took a nap in his lap while he was in his recliner. 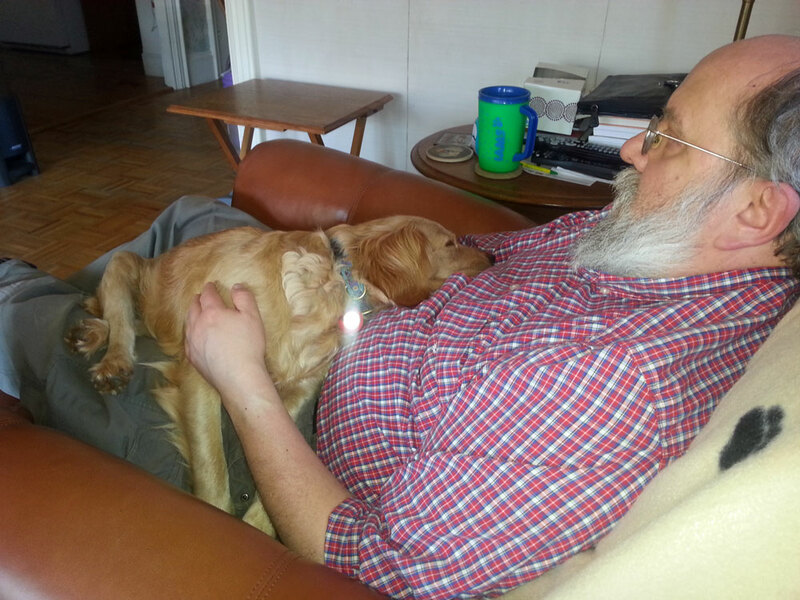 I got to explore the yard and that evening I again fell asleep in his lap. The next morning started with Don taking me out to do my poops and then he sat down on the floor with my breakfast and started teaching me an attention behavior. All I had to do was look at him, and I’d get a piece of kibble. Yummy! I like this game! Over the next few days, I got to meet the staff at Don and Paula’s business, some of the dogs, my new veterinarian and the people at the bank. Don told me that eventually I would get to go to school, but because I was a bit unsure of new things, especially people, he said he was going to let me settle in first. He hung a bag of treats on the door to his office along with a sign asking people coming in to grab a treat to give to me. Until then he worked with me on the attention behavior, recall and sit. He said I was a fast learner, and I loved how he rewarded me when I got it! He always makes training fun for both of us. One of the things I started doing in my new home was to jump up on people I liked. I just get so excited when I see a person that I like, that I cannot help myself. I see them and POP! my front paws are on them, and I am smiling, hoping they will pet me and say “Hi.” Since I was shy, Don allowed me to do this as it was so rewarding to me. Since it was something I felt good about it helped me feel good about interacting with people. One day a strange man came to visit Don in his office, and I did not even think about being shy. I just ran up and jumped and said, “Hi! I am Muppy!” He patted and talked to me and was real nice. After that Don told me it looked like I was over my shyness and we would now start to work on sitting for greeting. I do pretty well, most of the time. There are some people that I like so much; I am talking about you Deb and Miriam, that I cannot always contain myself! I started my first group training class at Green Acres on August 30th, 2013, four months after joining the Hanson family. Both Don and Paula went to class with me; Don says it is very important for all family members to be involved with training. In that class I learned to do the following on cue; look, sit, lie down, walk nicely on a leash, come when called, leave it, and wait or stay. I have since taken Green Acres Level 2 and Level, 3 classes, as well; some more than once! I love training classes because it is so much fun! It is an opportunity for me to interact with my favorite people whether we are actually in class, or I am working individually with Don on the days in between class. 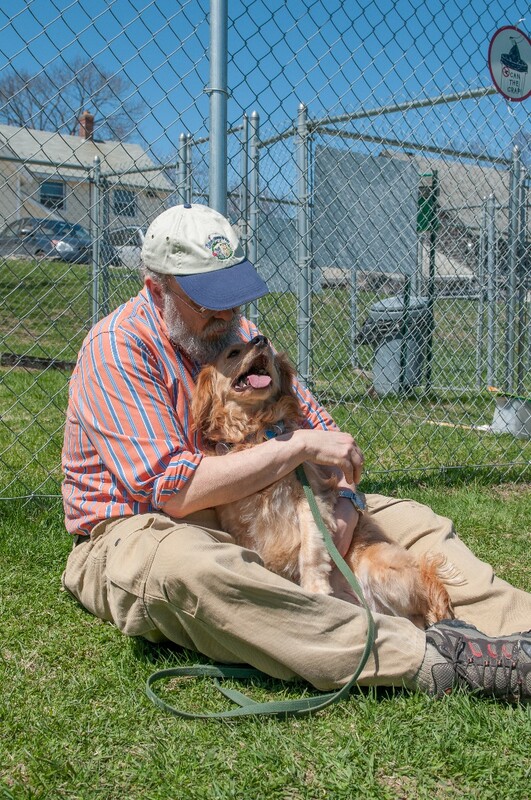 Moreover, when I see Don out in the training field teaching classes filled with other people and dogs; I let him know I want to have fun too! That is why he keeps enrolling us in classes because it is so much fun for both of us. So I guess this is where I am supposed to tell you what I have learned. 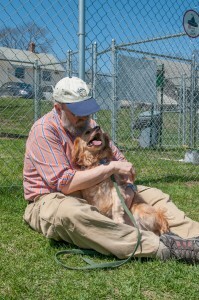 Every dog should be trained; training helps establish a bond and makes us better companions. It also makes it possible for us to go more places with you and to spend more time with you. Isn’t that why you got us in the first place, to be your steadfast companion? 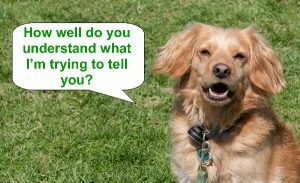 Work with a professional dog trainer either privately or in group classes as they can help you learn about your dog and make the process of training fun for both of you. Make sure any trainer you work with is committed to methods that are force-free, pain-free, and fear-free. 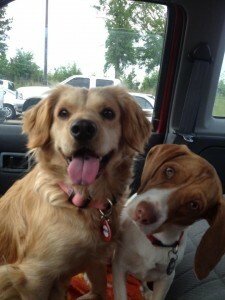 The Pet Professionals Guild (http://www.petprofessionalguild.com/) can be a great resource for finding such a trainer. If you have a rescue dog like me, starting in a group class immediately might not be the best thing to do. 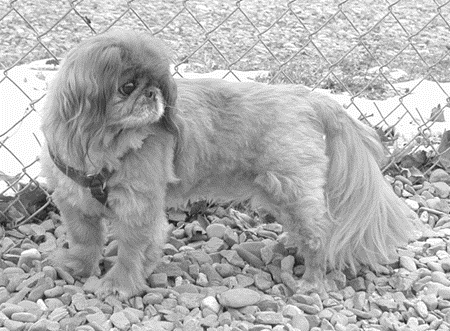 A professional trainer can help you make that determination and can help you start working with your dog at home. 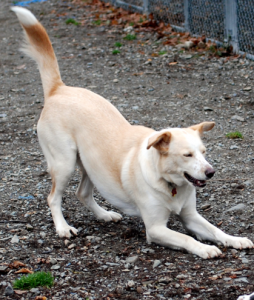 Lastly, be patient with your dog and yourself and most importantly, ALWAYS make training fun! 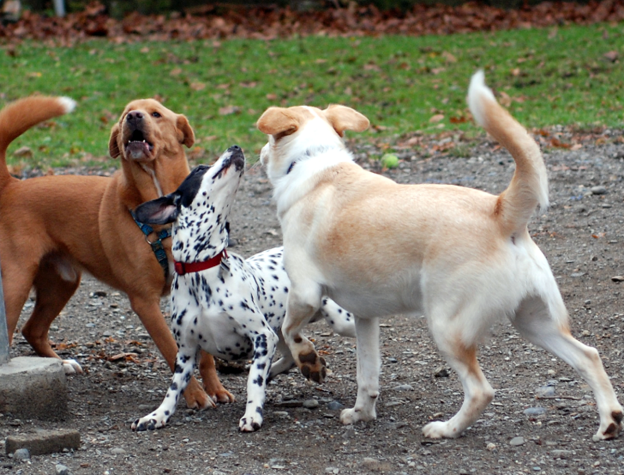 Before You Go To The Dog Park – coming soon! November and December can be a joyous, yet also a chaotic and hectic time of the year. We can look forward to several major holidays, each of which can mean more activities at school for the kids, and an increased probability of guests in our home. To prepare for those activities, we may also find it necessary to spend more time away from home attending school concerts, company parties, and family gatherings. Some people thrive on a flurry of activity and some long for a calmer time of year. 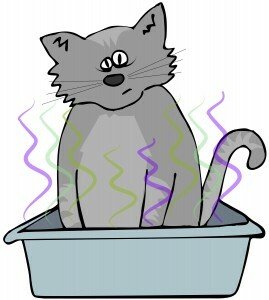 Our pets, especially dogs, and cats typically are more likely to be fans of predictability and routine. 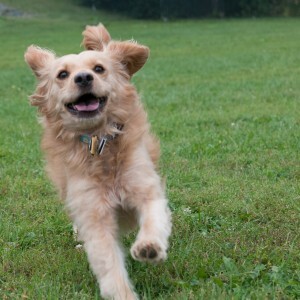 Here are a few tips to make the coming frenzy less stressful for your pets. As you get busy with the holidays, please do not forget your pet. Make sure to allocate time for them, as they miss you when you are not home as much as usual. You might also find that spending time with them helps you to relax from all of the holiday madness. Put your dog in his crate with a bone or favorite chew toy, at least during the most hectic times – when guests are arriving and leaving as well as when meals are being prepared and served. If your cats are not fond of large numbers of people, or people they do not know, set them up in a room where they can be alone. Make sure your guests know that they are to leave your pet alone in this situation. Assign one adult to be in charge of each of the dogs, to watch for signs of stress and to protect the dog from unwanted attention from children. At the same time, assign one adult to supervise each baby or toddler, with no other tasks assigned to them. Make sure that ALL interactions between pets and children are supervised by an adult. Not every dog likes every person – ALWAYS let your pet decide if they want to meet someone new. If you are quite certain, your pet will not enjoy the increased activity due to the event, or if you are more relaxed knowing your pet is in a safe, pleasant environment, consider boarding your pet the day and night of the event. Pets do not make good holiday gifts, especially if the person receiving the gift is not aware of it. If you want to get a pet related gift for someone get them a book on selecting a pet, or a leash or toy for the pet to come. Many holiday plants such as holly, mistletoe and poinsettias are poisonous to pets. 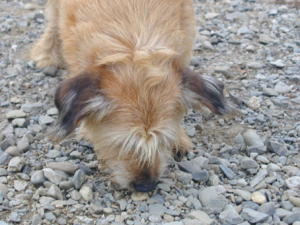 Make sure they are someplace where your pet cannot get to them. Be cautious about where you leave holiday gifts, especially those with food inside. A misplaced box of chocolates can kill a dog. Candy and other holiday treats sweetened with Xylitol can also be fatal when pets ingest them. Keep lights and fragile ornaments off the lower branches of your holiday tree where your pet can get to them. Make sure all electrical cords for holiday lights and decorations are located where your pet will not become entangled in them or attempt to chew on them. Avoid using edible ornaments on your tree. Tinsel can be very attractive to dogs and cats and can also be fatal if ingested. Have a safe and joyous holiday season!